Manhattan District Attorney Cyrus R. Vance, Jr., together with the U.S. Attorney’s Office for the Southern District of New York (SDNY), today announced the resolution of a joint investigation into the criminal conduct of Société Générale (“Soc Gen”), the sixth-largest bank in Europe, and the payment of $880 million in penalties and forfeiture to criminal prosecutors. In the Deferred Prosecution Agreement (DPA) and corresponding Statement of Facts, Soc Gen admitted that it violated New York State law by falsifying the records of New York financial institutions, and will pay $162.8 million directly to the D.A.’s Office, which the D.A.’s Office will distribute in accordance with law to the City and State of New York. In addition to the $880 million settlement resolving the joint criminal investigation conducted by the Manhattan District Attorney’s Office and SDNY, Soc Gen also has agreed to resolve parallel regulatory inquiries arising out of the same pattern of conduct, in which the Board of Governors of the Federal Reserve System (Federal Reserve) and the New York State Department of Financial Services (DFS) imposed additional civil monetary penalties in the amounts of $81.3 million and $325 million, respectively. The total settlement amount also includes a settlement of $53.9 million, reached with the U.S. Department of Treasury’s Office of Foreign Assets Control. Pursuant to the DPA, Soc Gen has agreed to, among other things, adhere to best practices for international banking transparency, implement procedures and training designed to ensure U.S. sanctions compliance, and pay $162,800,000 in penalties and forfeiture within five business days to the D.A.’s Office, which the D.A.’s Office will distribute to the City and State of New York pursuant to New York State law. The remainder of the $717 million settlement will be paid to the United States. Of that $717 million, one-half will be transferred to the United States Victims of State Sponsored Terrorism Fund. The U.S. government restricts certain persons, countries, and entities from accessing the U.S. banking system. Pursuant to U.S. law, financial institutions are prohibited from participating in certain transactions with these persons, countries, and entities. OFAC is charged with administering these economic sanctions against targeted foreign countries and regimes, terrorists, international narcotics traffickers, those engaged in activities related to the proliferation of weapons of mass destruction, and other threats to the national security, foreign policy, or economy of the United States. Banks in Manhattan, which process most of the world’s U.S. dollar payments, use computer systems commonly known as “OFAC filters” to prevent sanctioned entities, as well as terrorists, money launderers, and other criminals, from gaining access to the U.S. banking system. From at least 2004, up through and including 2010, Soc Gen knowingly and willfully violated U.S. and New York State laws by illegally sending payments through the U.S. financial system in violation of U.S. sanctions, which caused both affiliated and unaffiliated U.S. financial institutions to process transactions that otherwise should have been rejected, blocked, or stopped for investigation pursuant to OFAC regulations. These prohibited U.S. dollar payment transactions violated New York State laws by causing false payment messages to be filed with entities located in Manhattan, thereby concealing the illegal nature of these transactions, deceiving U.S. banks into processing the illegal payments, and preventing them from filing required sanctions-related reports. As detailed in the DPA and Statement of Facts, Soc Gen conspired to violate U.S. sanctions against Cuba by structuring, conducting, and concealing U.S. dollar transactions using financial institutions located in Manhattan. In total, Soc Gen engaged in more than 2,500 sanctions-violating transactions through Manhattan financial institutions, valued at nearly $13 billion. Separately, Soc Gen also engaged in a broader “concealment practice” of processing U.S. transfers on behalf of sanctioned entities while omitting information about the sanctioned entities from the accompanying payment messages to U.S. financial institutions located in Manhattan, in order to circumvent U.S. sanctions. With isolated exceptions, this broader practice was ended in early 2007, well before the investigations, and was outside the statute of limitations for violations of applicable New York State and federal laws. Some of the sanctions-violating transactions were related to Soc Gen’s operation of 21 U.S. dollar credit facilities to finance Cuban entities and businesses, while other transactions involved other Soc Gen business with a sanctioned nexus. The Cuba-related violations continued despite concerns expressed by compliance personnel to top management, as internal emails quoted within the Statement of Facts reveal. Despite the awareness of both compliance personnel and senior Soc Gen management that the bank had engaged in the concealment practice and in unlawful U.S. dollar payments under the Cuban credit facilities, Soc Gen did not to disclose its conduct to any U.S. law enforcement agency or regulator prior to the commencement of this investigation. It was only after the bank performed a detailed forensic analysis pursuant to the investigation that it disclosed the concealment practice and Cuban credit facilities to the investigating agencies. As a result of this untimely disclosure, the statute of limitations for violations relating to the concealment practice and to much of the conduct involving the Cuban credit facilities had already run by the time the investigating agencies learned of them. While today’s DPA was designed to impose a substantial punishment on Soc Gen and send a strong message of deterrence to other banks, several mitigating factors led to the agreement to defer prosecution. Those factors included the fact that Soc Gen cooperated substantially with the investigation after the belated disclosure of its misconduct, and devoted significant resources to both its internal investigation and the investigations conducted by the D.A.’s Office and SDNY. Soc Gen also fully acknowledged and accepted responsibility for its conduct, and voluntarily undertook a series of remedial actions before entering into the DPA. Moreover, Soc Gen terminated its unlawful conduct in 2010 prior to the commencement of any investigation. Soc Gen has also made major improvements in its sanctions compliance program, by centralizing this function within the bank, and expanding the number of employees working on sanctions compliance from one in 2009 to 31 by 2017. Soc Gen has additionally enhanced its compliance technology, tripled its compliance budget, reorganized its policies for escalation and review of potential sanctions violations, and instituted biannual training of employees regarding sanctions issues. 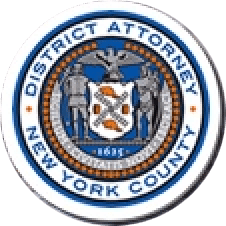 The six-year investigation was conducted jointly with the U.S. Attorney’s Office for the Southern District of New York and the United States Internal Revenue Service Criminal Investigation (IRS-CI). D.A. Vance recognized the substantial contributions of the Federal Reserve Bank of New York and OFAC, which conducted their own investigations. The Soc Gen case was investigated and prosecuted by Assistant District Attorneys Robert Shull and Julieta Lozano (Deputy Chief of the Major Economic Crimes Bureau), under the supervision of Christopher Conroy (Chief of the Major Economic Crimes Bureau) and Michael Sachs (Chief of the Investigation Division). Assistant D.A. Vimi Bhatia, Trial Preparation Assistant Grant Raffel, and former analysts Seth Massey, Cameron Ruffa, and Ian Edeson also assisted in the investigation.